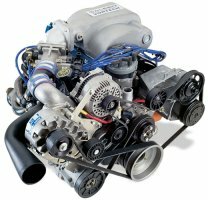 Vortech 1994-1995 Mustang GT 5.0L V-1 T-Trim System Satin [4FG218-020T] : Supercharger Superstore, Your Online Source for Vortech Superchargers, Paxton Superchargers, Procharger Superchargers, Magnacharger Superchargers and Techco Superchargers! Increase horsepower from 215 to 319 and torque from 285 lb./ft. to 370 lb./ft. at 6-8 psig at the flywheel. The V-1 T-Trim is available for those looking for high horsepower applications.